Mary Pope Osborne & Natalie Pope Boyce. Michael Welply, illus. This treasury presents 56 favorite stories from the Bible, both from the Old Testament (the creation of the world, the Garden of Eden, Noah's ark, Abram and Isaac, Jacob and Joseph, Moses and the Ten Commandments, Saul and David, Solomon and Elijah) and the New, up to Jesus's Crucifixion, Resurrection, and Ascension. 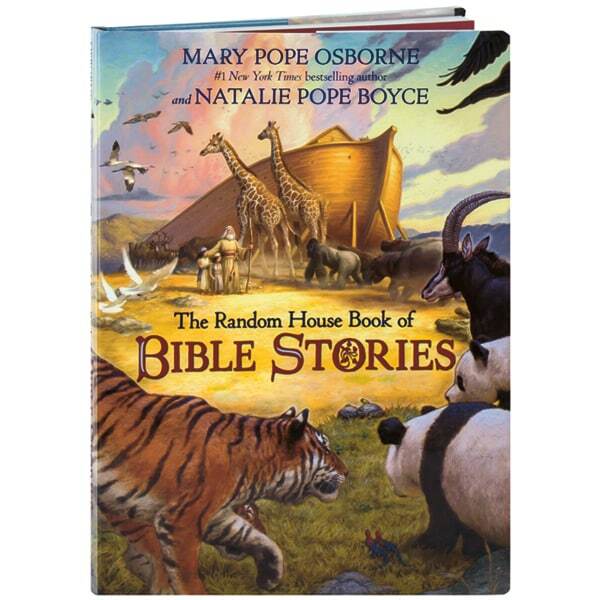 Mary Pope Osborne—author of the Magic Tree House books—and her sister Natalie Pope Boyce tell the stories in a biblical style for readers 7 to 10, while dramatic yet realistic paintings by illustrator Michael Welply help visualize both miraculous and human events.